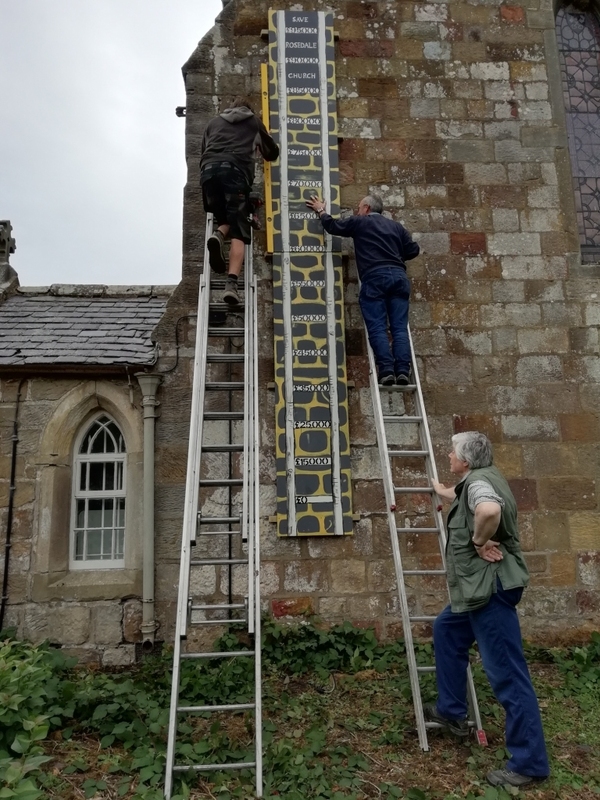 Those of you passing by the church recently will have seen the ‘Stairway To Heaven’ fixed to the east wall which is intended to chart the upward progress of our Save Rosedale Abbey Church Appeal. As will be seen by the angel, the appeal has already reached the £15,000 mark – onwards and upwards! A reminder that the Rosedale Flower Festival in aid of the Appeal starts this coming Saturday 15 September from 10.00 am and goes on each day until Sunday 23 September – entrance is free. Also there will be a Harvest Service at 6.00pm on Saturday 22 September followed by a Bring-and-Share supper. Again all are most welcome to come.